Through the environs of the beauteous and scenic Turkey emerges this intense story of Mehmet Fikri. Hailing from a small village, Mehmet Fikri makes his journey to Istanbul to make his dream come true. He establishes his business empire and builds a mansion where he and his family proudly dwell. However, despite the riches and high life, Fikri’s only concern is his beloved grandson Mehmet – whose only heartache in life is his only love ‘Nihan’; who dies before Mehmet’s own eyes and who he loses forever! Now, Mehmet finds himself forlorn and left alone in this whole wide world. All he has is Nihan’s memories to himself as he remains confounded by his past. Due to this anguish, Mehmet has broken all the ties with the world around him. Nevertheless, in the midst of Mehmet’s sorrow, someone comes along to breathe life back into this crestfallen soul – someone named “Noor”. Already in the grips of Mehmet’s love since her childhood, Noor sets out to enter Mehmet’s life and win his heart… Will Noor be able to win back Mehmet’s heart? Will she succeed in driving Nihan out of Mehmet’s memories? How far would Noor go on this thorny and cumbersome journey? Watch “NOOR” – only on Geo! 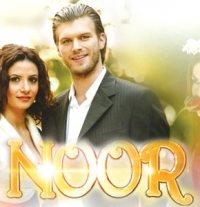 On this page: Noor story, synopsis, wiki and details about the tv show.